It’s that time of year again, when John Lewis release their eagerly anticipated Christmas advert – something that is now as traditional as mince pies and stockings. So what is it this year? 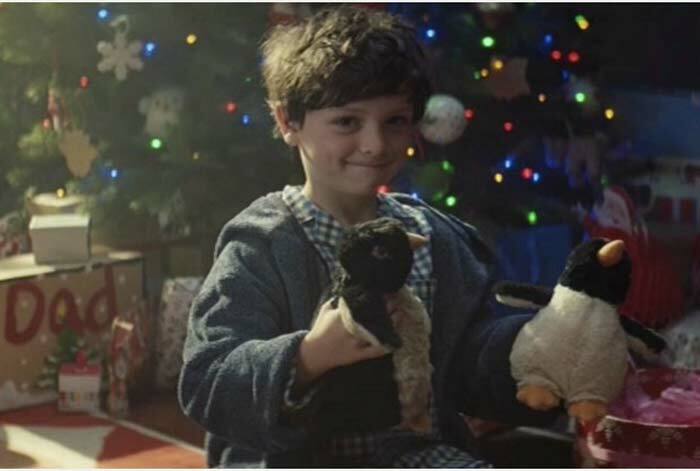 This year’s advert is about a little boy called Sam and his pet penguin, Monty. They go everywhere together and are the best of friends, but then Sam realises the penguin is lonely and has no one to love. The 130 second advert ends with Sam surprising his pet Monty with a soul mate called Mabel for Christmas and everyone lives happily ever after. It’s definitely a tearjerker and so far the advert has evoked a very positive reaction from social media users. John Lewis Xmas ad made me cry right at the end. They really know what they’re doing, don’t they. Monty the penguin has his own page on the Jown Lewis website, where fans can explore Monty’s world, buy the book, play the game and even buy a toy version of the penguin itself. It doesn’t end there either. John Lewis spends all year waiting for the advert to come out. No not the guy who owns the large British retail store, the Computer Science teacher from Blacksburg, Virginia. Dr Lewis has racked up over 7,000 Twitter followers and instead of getting fed up with the stream of tweets he is sent that are meant to be directed to the retailer (@johnlewisretailer), he is a good sport and just replies to as many as he can it a friendly and helpful way. Whether you love the new John Lewis advert or don’t see what all the fuss is about, they have certainly got people talking!